It was 25 years ago - in December 1990 - that Sir Tim Berners-Lee, now a Professor in Computer Science at the University of Southampton, published the first ever website while working at CERN, the European Organisation for Nuclear Research. That first page wasn’t truly public but it most certainly laid the groundwork for what we can all now access online. In the first 10 years, some 17.1 million websites emerged and now, a quarter of a century later, we can access just under one billion sites. 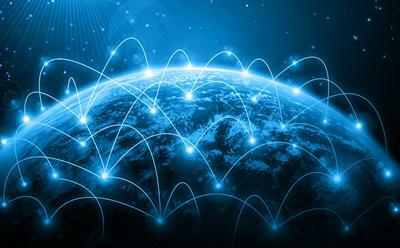 The World Wide Web is now integrated into the everyday lives of billions of people across the planet, shaping how we do business, conduct our social lives and organise politically. The University has played a significant role in Computer Science and the development of the Web over the last 25 years and it continues to lead applied research into the power of the information that the Web holds and the ways it continues to transform our lives. Southampton’s world-leading achievements in Computer Science include the development of pioneering hypermedia systems in the late 1980s and laying the foundations of agent-based computing and intelligent systems since the late 1990s. The University is also recognised around the globe for founding and fostering Web Science as an academic discipline, led by Dame Wendy, Sir Tim and Professor Sir Nigel Shadbolt, former head of Southampton’s Web and Internet Science Research Group and Chair of the UK’s Open Data Institute. In 2014, the University launched the Web Science Institute (WSI) to investigate how the World Wide Web is changing the world and the world is changing the Web. The WSI’s interdisciplinary research includes the Web Observatory and the unique SOCIAM project, which aims to create a greater understanding of ‘social machines’ including the World Wide Web. As we celebrate the 25th Anniversary of the first website, Southampton is leading the way about how we think about the role Web Science can play in helping to shape the future Web we want.